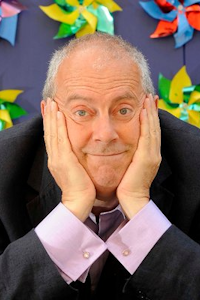 Gyles Brandreth - Break a Leg tickets at The Berry Theatre, Hedge End. 2019. Find the best Gyles Brandreth - Break a Leg one person show tickets at The Berry Theatre, Hedge End. A brand new show celebrating all things theatrical. Be among the first to see it. They say all political careers end in tears. In Gyles Brandreth's case it's tears of laughter as the actor, author, One Show reporter, former MP and government whip returns to Barney with his new one-man show BREAK A LEG! - a celebration of all things theatrical. This is Brandreth unleashed on the stars he's known and the theatre stories that have made him laugh ? and, occasionally, cry. Without hesitation or repetition (and just a touch of deviation), Just a Minute regular Gyles delivers a dazzling evening of wit, wisdom, high drama, low comedy, and hilarious name-dropping. Gyles Brandreth - Break a Leg tickets: The tabs above allow you to select between links to suppliers and date searching. Click on a supplier's logo to see their details and on the 'buy now' button to see and check the tickets on offer.